San Diego Gas & Electric and state officials expect an adequate supply of electricity this summer, but cautioned Thursday that an extreme heat wave or damaging wildfire could force emergency conservation measures. Steve Berberich, president and CEO of the California Independent System Operator, said that while the state as a whole has adequate power with a 24 percent reserve in normal situations, the shutdown of the San Onofre Nuclear Generating Plant leaves Southern California “cautiously stable.” He said a heat wave or wildfire could quickly pose a threat. “I can sum it up in two words…San Onofre and fires,” said Berberich in describing his concerns about the summer power situation. 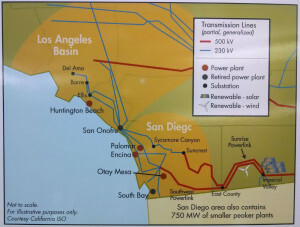 He explained that Southern California’s power network is centered on San Onofre, which provided a margin of extra power when it was operating, while two major transmission lines pass through east San Diego County, which is prone to wildfires driven by Santa Ana winds. 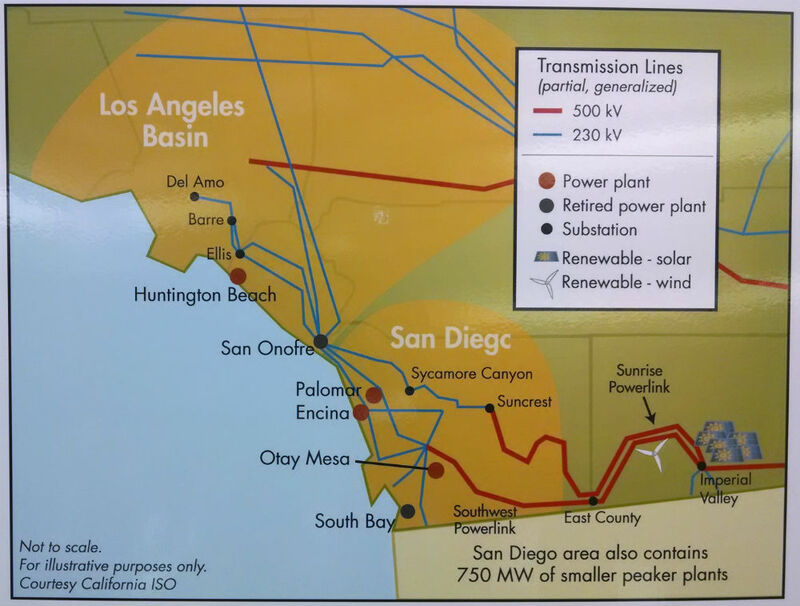 Map shows how transmission lines go through east San Diego County and San Onofre. 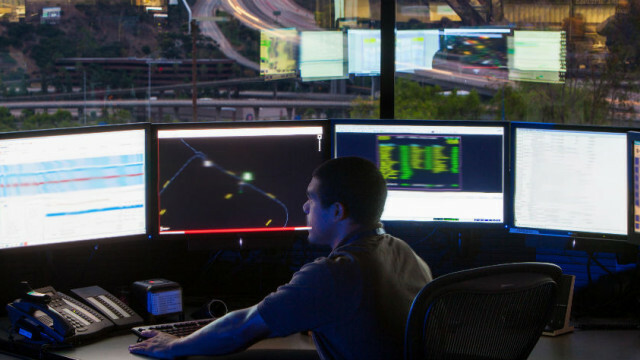 Berberich and officials from SDG&E and the California Energy Commission met with reporters at SDG&E’s high-security control center in Mission Valley, where the regional electrical transmission grid is managed. “SDG&E is prepared to meet this summer’s energy demand but we expect that there will be days when we will need help from customers through conservation,” said Steven D. Davis, SDG&E’s president and chief operating officer. Utility officials outlined a number of tools for reducing energy use, including online and mobile apps for checking use and free programmable thermostats. Bob Weisenmiller, chair of the energy commission, said it will take time to re-engineer the electric grid in Southern California following the loss of San Onofre. “A lot of the transmission system in Southern Calfiornia was built around the assumption that San Onofre was always going to be operating,” he said. Officials noted that the drought and and improving economic conditions across the state were leading to greater demand for electricity this summer. SDG&E, a subsidiary of Sempra Energy, provides energy to 3.4 million electric and natural gas customers in San Diego and southern Orange counties.